I wanted to take a minute to say how grateful I am to have this blog as a creative outlet, and to say thank you to those of you who check in with me. I hope you're enjoying a Thanksgiving holiday filled with lots of comfort food, family, friends, and football! And just wondering... is anyone doing any black Friday shopping? I mean, at a real store? I'm sticking to the Internet this year. I don't plan on buying any electronics, which is where the really good deals seem to be, and I know there will be sales from now until Christmas, and I don't feel like fighting the crowds. There was a crazy 18 year old girl who started camping out at our local Best Buy on Tuesday afternoon. She's still there! I think she'll have been there 60 hours by the time they open. I'm spending the day with my mom. Thankful she's still around, though there were a couple of times in the past few years we thought we were going to lose her. Missing my dad, as usual, but thankful I got to spend time here on Earth with him. Can't wait to see him again in Heaven! I wonder if people ever really "get over" the loss of a parent, particularly when it's completely unexpected. I would dare say they don't. But, focusing on my many blessings: health, happiness, family (husband, kids, mom, sister and her family, in-laws, etc. 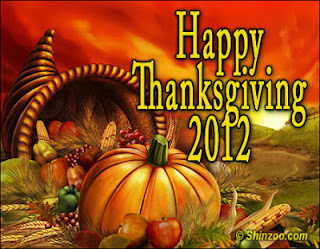 ), God's grace and love, a home, food to eat, a job, freedom, and so many more things to be thankful for! Enjoy your day with Mom! Happy Thanksgiving to you and your family, Mickie! Happy Thanksgiving Diana! Hope you have a wonderful day!